RELEASE DATE: 9 November, 2015 RE/MAX Real Estate Group Turks & Caicos has just listed the Seaside Villa Moonshadow, a 5-bedroom luxury home, centrally located in Providenciales, between Sapodilla Bay and Taylor Bay. The listing price is USD $2,195,000. RELEASE DATE: October 19, 2015 RE/MAX Real Estate Group Turks & Caicos announces one of its newest residential offerings: the Villa Blue Caribe, a luxury villa located on the northern coastline of Providenciales. The listing price is USD $1,885,000. 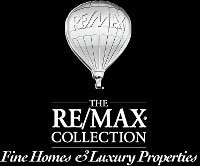 RELEASE DATE: September 17, 2015 RE/MAX Real Estate Group Turks & Caicos Islands listed a luxury oceanfront villa for sale located on Chalk Sound. This property is available for USD $1,750,000. RELEASE DATE: August 21, 2015 RE/MAX Real Estate Group Turks & Caicos Islands listed an investment property available for sale in North Caicos.